For old-world cabaret, performers still swoon over the stately, romantic elegance of the Oak Room at the Algonquin, but this sleek, two-year-old spot is threatening to encroach on the turf of such established institutions. Critics, insiders, and even talent—if they’re speaking off the record—praise the relative baby on the scene for its warm vibe, accessible pricing ($40 on average, including drinks), perfect layout, and the insightful bookings and personal treatment of manager Lennie Watts, a performer in his own right who’s convinced an amazing group of talent to head south of 42nd Street to populate his stage. 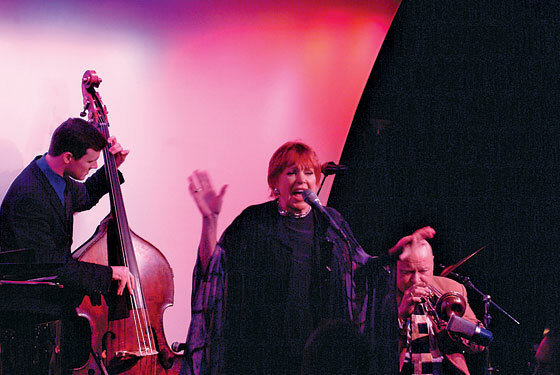 In its short tenure, the venue has hosted a much-heralded ongoing engagement by vocalese legend Annie Ross, in addition to blowout shows by British Dylan channeler Barb Jungr, cultishly adored veteran Marilyn Maye, and collaborators Christine Ebersole and Billy Stritch—all of whom took home coveted Nightlife Awards for their efforts. Alas, for shows of the bawdy, titillating variety, you’ll have to head still farther downtown—if not all the way across the river.